Below a list of companies that serve connection services to and from the Amalfi Coast. To reach the Amalfi Coast is quite easy, there are lines connecting daily, usually first has to be reached Salerno and / or Sorrento and then from there is easier to move to the other destinations. We report, in addition, information about active lines from Rome, Naples Airport (Capodichino) and Naples City Center. From April 7, 2014 tariff system UNICO COSTIERA is available. The company Sita sud gives connection service leaving near the railway station of Salerno, in Via Vinciprova. The journey takes about 75 minutes and costs € 3.40. Tickets can be purchased at all retailers and should be stamped on board. For timetables: Salerno – Amalfi. For timetables and more information visit the page: Naples Amalfi. The bus service is carried out by the company Sita Sud, the departure is from Piazza Giovanni Battista De Curtis in Sorrento, near the station of Circumvesuviana of Sorrento. The ride lasts about an hour and a half and the cost of the ticket is of €6.80. Partenze e arrivi Stazione di Napoli Centrale a Bomerano (Agerola), 13 maggio 2013, prima di 11:00. E il tasso e la durata del viaggio. I need to catch an early train in Salerno. The train starts at 9:00. But I live in Amalfi, I plan to take SITA bus from Amalfi to Salerno? Could you please tell me what time is the first shuttle from Amalfi? And what time and where does it arrive in Salerno? There aren’t direct buses from Naples to Ravello but you can change in Amalfi, Salerno or Sorrento. Quick question on the Napoli – Amalfi bus route. The gaps in time shown at S. Lazzaro does that imply the bus takes a 20 min break there? Or that you have to change buses? Posting that link was very helpful, thank you! I’m sorry to say but can’t answer to your question since it could means both the reasons from you mentioned. We are not informed on each stop, just on the line. Would like to know the best way to tour the Amalfi coast from Rome. During the summer there is a direct line leaving from Rome Tiburtina station to Amalfi, as you can read above, the company is Marozzi bus Journeys. If you are going to the Amalfi coast, from Rome, before June and after September then you will have to change bus either in Naples or Salerno and from there take a direct bus to Amalfi or Sorrento. What is the service number for the timetable for the Salerno-Amalfi, provided by your link https://www.sitabus.it/forums/topic/need-bus-time-schedule-salerno-amalfi-sorrento/amalfi_maiori_salerno_timetable_orario/ ? When I go directly to the SitaSud website, the timetable for service 5120 for Salerno – Amalfi, does not have the same times. Is there just one service and if so, which timetable is correct? I will be travelling from Naples to Amalfi, via Salerno, on 13th May from around 11:45. Hi – are there “direct” bus’s from Naples to Amalfi Coast daily? I will need to get to Amalfi (from Naples) in July and also get back to Naples(from Amalfi) a couple of days later. I cant really understand the schedule: https://www.sitabus.it/wp-content/uploads/2013/04/Napoli-Amalfi.pdf as im from Australia. Are these direct? Hi! Check this timetable instead, it’s easyer to understand. I am trying to figure out the timetable from Amalfi to Naples Central Train Station on a Saturday. I would like to know the earliest times I could leave and the length of time it would take to get to the main train station in Naples. Thanks! There is a bus at 5:45.
hi. I’d like to go from the naples train station to positano today at 18:00. Can you please tell me how I can do this asap? We will be in Maiori beginning June 28. We would like to take the Sita Bus to Tramonti so we can have pizza at the great restaurant where the road turns to the left. Maybe it is something about Chiunzi? I forget the name. Can you give me a link to the bus schedule to Tramonti if there is one? Hi. I would like to go from Sorrento to Furore to see the race of dives on sunday 7th in July. I’ll be taking the train from Florence to Salerno. From there, how do I reach Agerola (San Lazarro Square?) by bus? Would be better to reach Agerola from Naples, here the timetable. there is the stop in piazza San Lazzaro. I’d like to go from Bari, or ever better from Lecce to Amalfi Coast in August 27th. Can you please tell me how I can do this??? on Satuday, 14 Sept. 2013 I would like to take the bus from Conca to Sorrento at 06:45 h. The time schedule says “G” above the departure times. What is the meaning of “G”? Will the bus be departing on a Saturday at 06:45 h in Conca dei Marini? And will the bus reach Sorrento on time (08:10 h)? In Sorrento I need to take the Circumvesuviana train to Napels at 08:26. Need to get from Postano to Amalfi at around 9 pm and then from Amalfi to our place in Vettica– do buses run that late or cabs in Amalfi? My wife and I will be spending three nights in Sorrento from Sunday the 10th to Tuesday the 12th of November. After that we are wanting to travel to Rome Fiumicino airport on Wednesday 13th Nov in time for our flight back to Australia on Thursday 14th Nov at 11:15. We are looking for a way of getting from Sorrento to Fuimicino as directly as possible at this time of the year. Are you able to assist/advise us on this please? If this is possible an indication of the cost of the fare would be appreciated. To reach Roma Fiumicino Airport, from Sorrento, you can take the Marozzi bus line to Roma Tiburtina train Station and from there take the train to the Airport, every 20 min, 8 €. The bus from Sorrento leaves at 6.00 am, from Stazione Circumvesuviana, arrives in Roma Tiburtina Station at 09:45. We need to get from Salerno to positano, is there a timetable for this route? We´ll be arriving to Napoli Centrale train Station on Sunday October 27th at 22hs and need to go to Sorrento. Are there any buses at that time or close? Can you help me with timetable? I would like to travel from Sorrento to Positano, from Amalfi to Ravello on 25 Apr 2014. Would you be able to provide the bus schedule? 25 April is a public holiday. I’m travelling to Maiori on a Thursday begin of May. I will arrive on Naples airport. How can I get from Naples airport to Maiori by public transport? Please kindly advice me with some information how I can get from the airport to Maiori. Which bus(ses) or train do I have to take and what does it cost? to reach Maiori from Capodichino Airport you have to change in Salerno. The price is about 7-10 euro and you can buy it on board. Stamp your ticket on board. In May the bus lines could be expanded or change price. Hi, I’m going to be in Europe with my friend shortly and I need a way to get from Sorrento to Positano on Monday, May 12th, 2014 and back from Positano to Sorrento on Thursday, May 15th, 2014 by bus. Where can I find a timetable? I will need to know how much it costs and where the bus stations are (exact locations, please). Do I need to reserve tickets? Tickets are available at the train station, newsagents, tobacconists, bar, some b&b/hotel and minimarkets. Please could you tell me which bus I need to get from Naples airport to Minori on Friday 22nd August and we will be returning on 29th August? Both will be in the morning around 10-11am. To reach Minori you will have to change bus in Salerno. Probably, during the summer, line will be improved. August 14 is a half-holiday day. The line you need is 5070 https://www.sitabus.it/?attachment_id=1537. Now is too early to answer your question. You have to wait the summer timetable. Monica, thank you very much! Only one question more: If we will be a week in Sorrento/Amalfi Coast, the best way to get around would be buying passe valid for three days? it would be the Unicocostiera? Hi Monica, I am trying to find out the the Sita Bus that will take me from Salerno to Praiano? You need the Sita line 5070 Amalfi-Sorrento. Hi dear, we are 2 girls planning to Amalfi Coast, we will arrive at Salerno around 10am on the day 1 and go to Maiori cuz we will stay there, we are planning to go to Amalfi, Positano and Sorrento. On the day 3, we have flights at 16h30 at Naples airport to Santorini. So which types of tickets we should buy? We can get to Napoli from Maiori instead getting direct to Naples airport. Thank you. I suggest you 3 daily tickets or single ride tickets. Me and my mom are going to Furore in 9 of july. I have initially thought about taking the curreri bus from naples airport – sorrento and then further sorrento – amalfi, and then amalfi- furore/agerola bus. But is it possible to take the same curreri bus to castellammare di stabia and from there jump on a sitabus directly to furore ? Yes, It’s possibile to take a Curreri bus from Naples Airport to Castellammare di Stabia and then to take a Sita bus from Castellammare di Stabia to Furore. Then I think we will save time on that. Hello. I will be at the end of june in Amalfi and i want to visit the entire Amalfi Coast. the ticket prices for bus (hourly ticket), but i want to know if there is also a 3-day ticket or 7-day ticket for the entire coast. Thanks. Artecard is the only ticket 3 or 7 days. This ticket includes admission to some museums. This Unicocostiera ticket isn’t available anymore? On April 28, 2017 I will need to get from Amalfi town to Naples. Is there a bus for this the entire way or will I have to get off in Sorrento and take the train to Naples? Thank you. There are direct bus from Amalfi to Naples. In April timetables may change. we are planning the one-day trip to Amalfi coast from Naples on 19.03.2017. Hi, we will be hiking at amalfi coast in mid-September to the end of September. Are the timetables of the busses the same then or are there different ones. Thank you. Hi Aleksandra, where do you need to go? I also suggest to post in the forum if you need specific information. 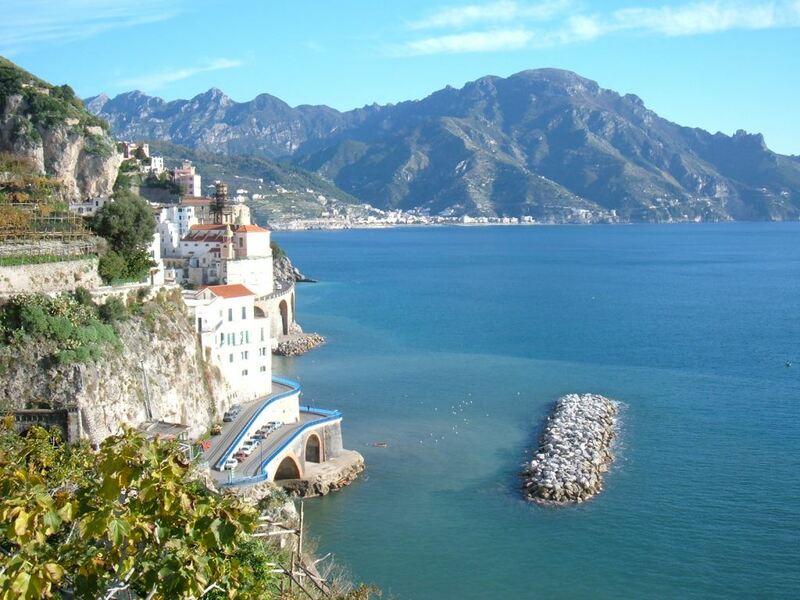 I am travelling with my three children in July this year to Italy and will be spending some time on the Amalfi Coast. On Monday the 16th of July I would like to travel from Amalfi town to Pompei but don’t know the best route. Could you suggest the quickest most straight forward way possible please? – Get to Sorrento by bus and from there get the Circumvesuviana. – Get to Salerno by Bus and from there a regional Train to Pompeii. Sorrento and Salerno are both beautiful and you could get a break there having some nice food. A che numero posso chiamarvi per organizzare un viaggio privato in costiera ? Salve Maryzz, al momento non ci occupiano di viaggi privati sulla Costiera Amalfitana. It seems that you were able to find the information here.